Willimantic Records: October 2014 - Save cash on records and clothes! 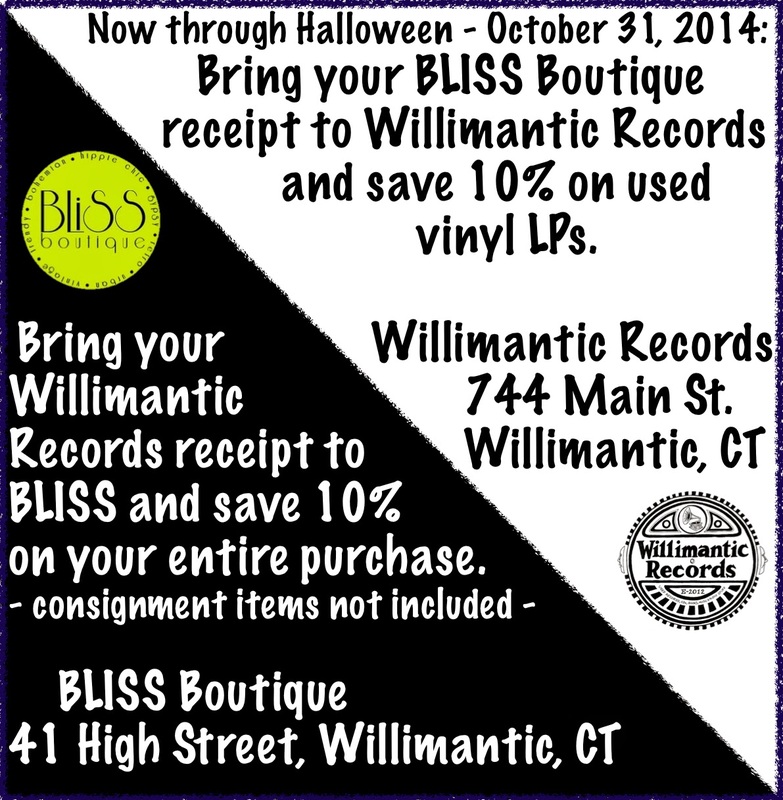 Make a purchase at BLISS Boutique this month, October 2014, and save 10% on used vinyl here at Willimantic Records. Purchase anything at Willimantic Records this month and save 10% at BLISS (excluding BLISS consignment items). Just remember to bring your receipts (and maybe remind me to stamp 'em with the Willi Rec stamp).